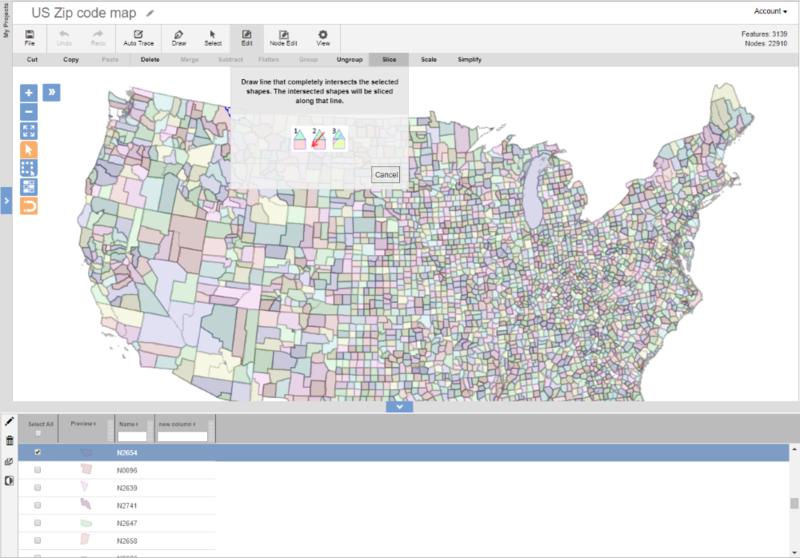 Developed a browser-based shapefile editor for Reports Now, allowing them to provide an enhanced portfolio of technology of world-class dashboard and reporting software. EZShapes allows users to create or import shapefiles and edit both data and graphics. EZShapes includes an innovative raster tracing algorithm that enables near-instantaneous conversion of simple raster line drawings into data-centric shapefiles, GeoJson files, or SVG drawings. EZShapes also includes a suite of complex manipulation tools for graphics and data, and can be used on both desktop and mobile browsers.